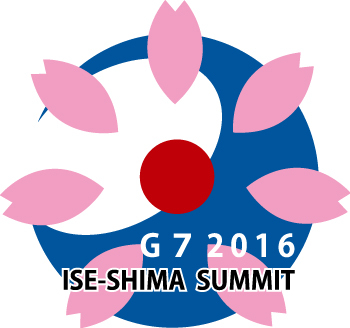 The Japanese government unveiled the official logo for the G7 Japan 2016 Ise-Shima Summit on January 4. The colorful logo was selected from thousands of entries submitted by elementary, junior high and high school students from across Japan. The winning design features a red disc at the center which represents the circle of the sun and features in Japan’s national flag. This central motif is circled by cherry blossom petals – an iconic symbol of Japan. The petals signify the seven participating G7 countries of Japan, Canada, France, Germany, Italy, the United Kingdom, and the United States. The blue crescent in the background represents the ocean surrounding Ise-Shima – the venue of the G7 Japan 2016 Summit. The young artist evokes the symbol of a globally interconnected ocean in the hope that the nations of the world will unite for peace. Will G7 pushback against Chinese, Russian aggression work?